Best Buddies has a new fundraising campaign called Champion of the Year and I'm so lucky to be involved. Best Buddies is an international organization that promotes friendship development and job opportunities for people with special needs. Both I and my aunt, Emilie, have been involved with Best Buddies over the years and I can't tell you how much it's impacted our lives in completely different ways. Though I've always known the love and value special people add to our lives, I'm so happy that this organization promotes this message. This year, Best Buddies Texas is working on starting new chapters in the Dallas area. There are 99,000 students in special education programs in the DFW metroplex. Of the 236 high schools in the area, only 12 have Best Buddies chapters. I'm hoping to change that! CLICK HERE TO DONATE TO BEST BUDDIES IN SUPPORT OF TEAM PROJECT EMILIE. 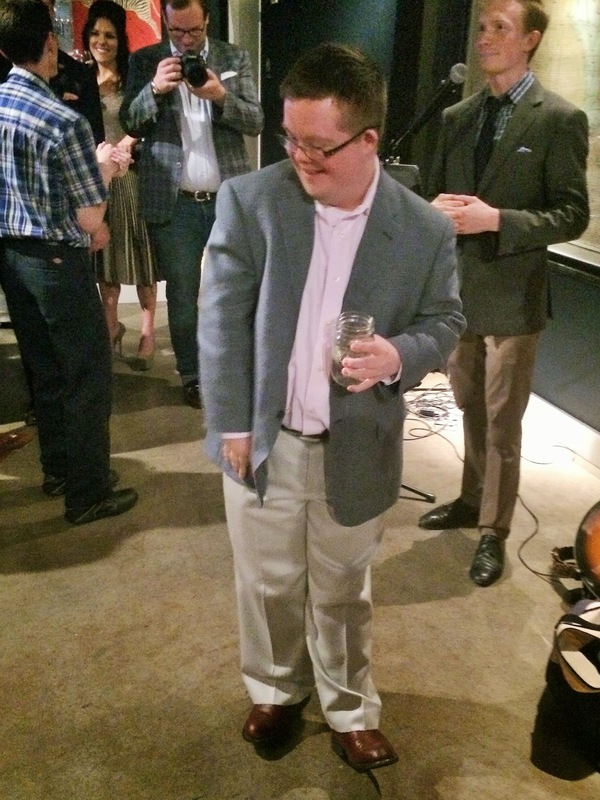 A fun and inspiring event was held at Alton Lane where Best Buddies supporters raised a glass to kick off of the campaign. Various Best Buddies representatives said a few words about what the cause means to them. Jeremy made a lovely speech about how Best Buddies has helped him develop friendships and live an independent life. Another one of my favorite buddies, Tyler, rocked an Alton Lane suit for the occasion. SMU grad and magician Trigg Watson Burrage cleverly wove the Best Buddies message into his act. It was pretty amazing! Shortly after the event, SMU student Meredith Carey wrote a fantastic article about the campaign in The Daily Campus! Those of you who have met Emilie or have become fans of Project Emilie on my blog know how important this cause is to me. I would appreciate your support for Best Buddies. Follow this link to fill out a donation form to build more friendships. Thank you for supporting Best Buddies! Oh how fabulous is this.. Hope you will join in and help..